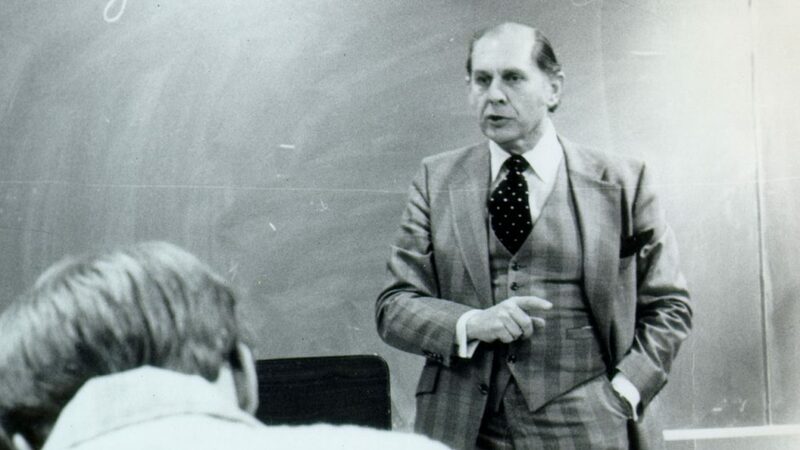 Dr. James D. Strauss served as professor of theology and philosophy at Lincoln Christian Seminary from 1967 to 1994. His intellectual capacity and broad academic interests amazed both his students and his colleagues. But those who knew him understood that all of his considerable mental energy was dedicated to fulfilling the mission of Christ in the world. The James D. Strauss Institute honors his legacy. Room For Doubt, a new apologetics initiative that provides learning experiences and resources to substantiate the faith of committed Christians, regenerate the faith of younger Christians who have doubts about their heritage, and vindicate the Christian faith to non-Christians. James D. Strauss Worldview Lectureship, honoring the legacy of Dr. James D. Strauss, who is credited with bringing the concept of “Biblical worldview” to the LCU campus. This annual lectureship (held the first week in October) endeavors to reinforce Dr. Strauss’ defining Scriptural verse: “to bring every thought captive to Christ” (2 Cor. 10:5) by inviting some of the finest minds in the Christian world to address a wide variety of disciplines, especially in the areas of Biblical studies, including theology, philosophy, apologetics, and contemporary culture. It is anticipated that more initiatives will be created within the Strauss Institute in the future. The Endowment for the James D. Strauss Institute will assist in funding these initiatives.